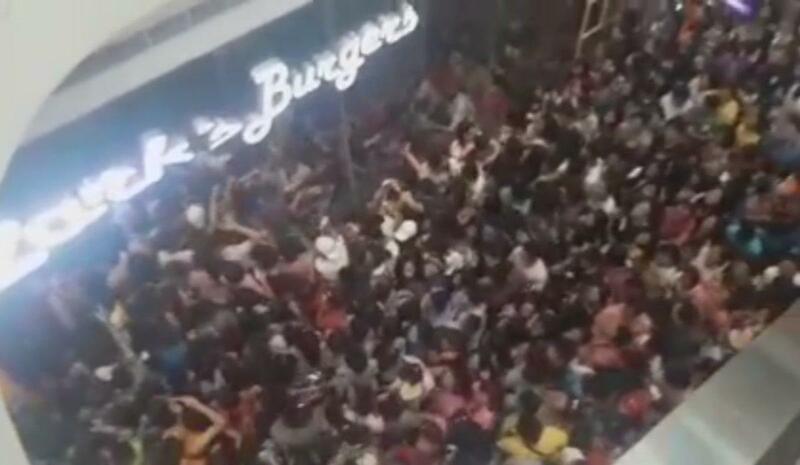 Chaos was unleashed after a Philippine restaurant offered an eight-peso burger deal yesterday (Monday, August 28). The offer was launched by Zark’s Burgers to mark its eighth anniversary, which happened to coincide with the National Heroes’ Day public holiday. However, because the deal was limited to only the first 80 customers, huge crushes were seen at branches across the country. Numerous videos and photographs have been shared on social media showing the scenes of chaos. Zark’s burgers usually sell for 145 pesos, so the offer represented a 95 per cent discount. The chain’s Facebook page has released a statement thanking its customers for their patronage, and apologising for the inconvenience the crowds caused. “All of us at Zark’s Burgers express our deep gratitude for the mammoth response to our eight pesos for first 80 customers promo to celebrate our 8th anniversary. No injuries have been reported since the stampedes.